Celebrating the restaurant’s second anniversary and the arrival of new executive chef Guillaume Katola, Rech by Alain Ducasse is presenting a culinary exploration along the coast of France. The seafood restaurant at InterContinental Hong Kong is set to debut its Coastal Tour de France promotion, where guests can enjoy a series of five-course signature menus featuring the best of French produce and regional specialties. 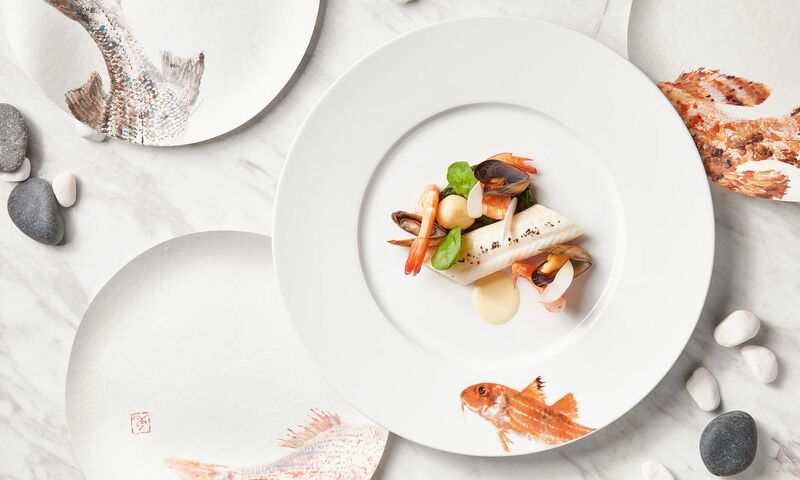 The culinary series begins with ‘La Normandie d’Alain Ducasse’. From March 1 to April 30, guests can indulge in Normandy’s wide range of produce from land and sea—from the region’s celebrated seafood as well as finest AOC (appellation d’origine controle) produce including carrots from Creances, Calvados, and camembert cheese. Katola’s five-course menu is priced at HK$1,288 per person.